iHolophone, Other software for iPhone / iPod Touch / iPad from Amidio, Inc. The application allows live performing over fully programmable sequencer beats. 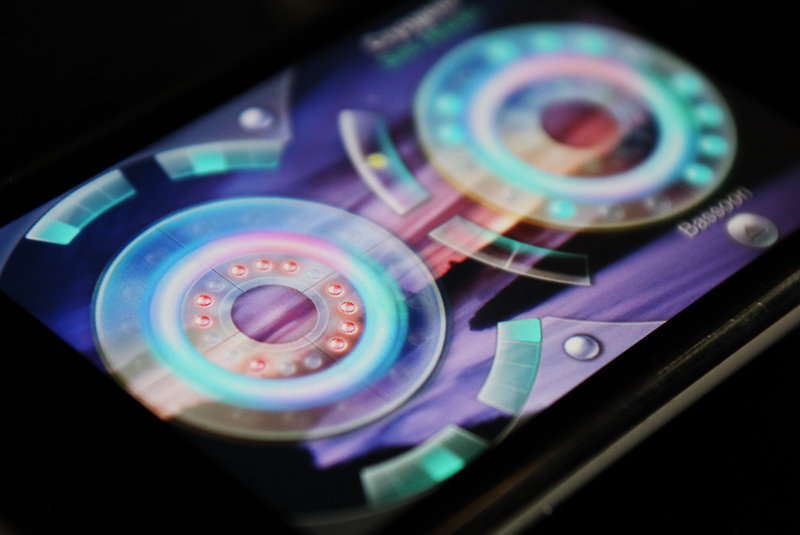 iHolophone is said to address the two most important aspects of the music - the melody and the rhythm, and is packed with 250 mb of impressive sounds. iHolophone doesn't require the player to have any music education, and at the same time even serious musicians will find it fun and useful, thanks to the CrystalClarity 64-bit sound engine and HoloDiscs touch technology, the company says. The application ships with a factory set of 40 factory scenes with 160 factory sequencer patterns, and own scenes can be created - users can choose from 60 modern instrument sounds, 800 percussive and melodic sequencer samples, and 70 background pictures. iHolophone doesn't rely solely on fixed standard music scales, representing a different approach which brings control over your own melodic progressions. The rhythms, sounds and harmonies produced by the player dissolve in the changing screen backgrounds to become more than just music, but a deep atmospheric morphing kind of art that immerses into evocative realities, the company says. iHolophone is initially priced at $6,99. A free version (iHolophone Free: Happy Birthday edition) is available. 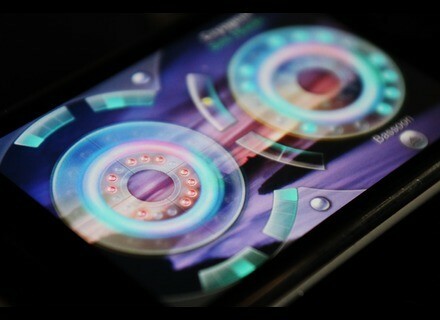 Amidio, Inc is known for releasing the first iPhone synthesizer app Noise.io Pro and the first DJ MP3 app Touch DJ. Check out amidio.com/iholophone for more. Minnetonka SurCode for Dolby TrueHD Minnetonka Audio Software is announcing two new Dolby products for Mac OS, designed to work inside Apple Inc.’s Final Cut Pro and Logic Studio.